We’ve been receiving favorable mentions in the press lately. 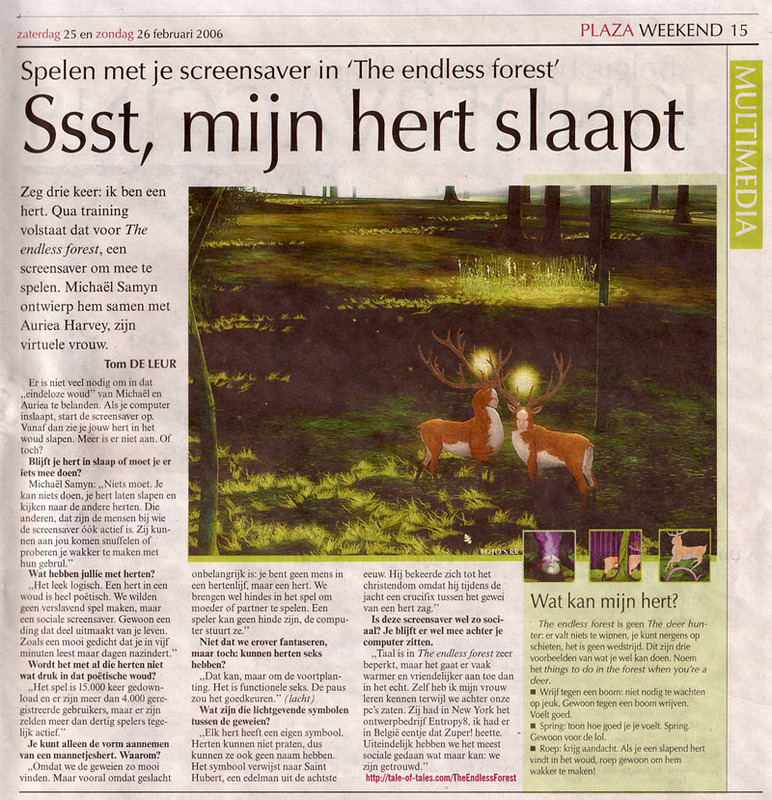 The Endless Forest seems to appeal to a wide cross-section of the tech culture saavy. Not to mention the many blog entries out there! We have released a final version of The Endless Forest 1.5, so please update if you have not already. This version is quite a bit bigger than version 1.0 but that is because there is so much more to see! There is now a beautiful pond in the forest and much more space to run around in. We’ve added more animals that scurry and more plants and flowers. In addition, the Twin Gods are there with you giving impromptu showings of power and spectacle! We hope that you will enjoy this new release. From now until April we are hard at work on version 2.0 which will introduce many, many more activities for deer in the forest. 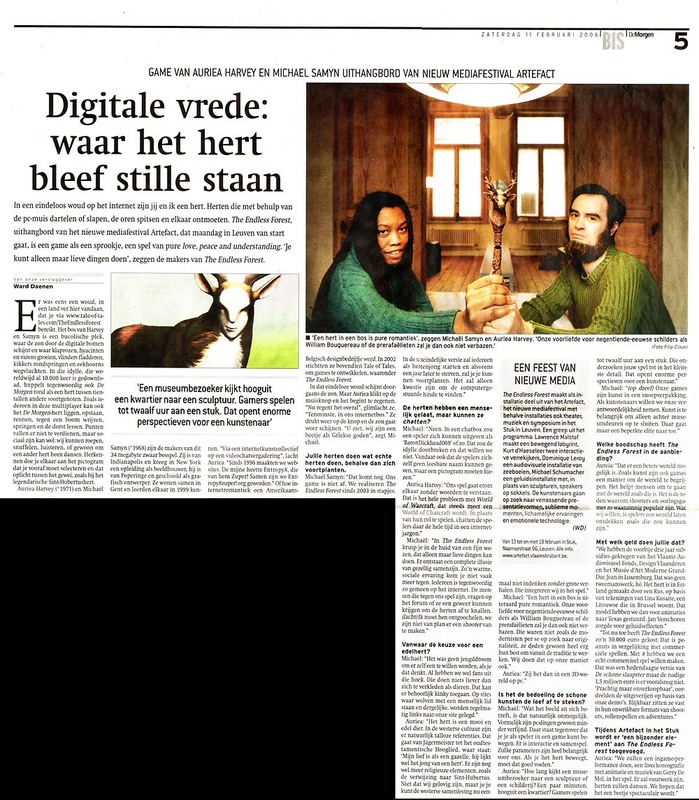 In other news, during the Artefact festival here in Belgium we received quite a bit of attention from the local press. Here we link to a few articles. They are in Dutch, of course. But even if you don’t understand the language we think you might enjoy seeing/hearing them. We are especially happy with this Radio 1 reportage: Neon – audio interview with Michael. The Endless Forest 1.0 beta 5 is now available! You can get it from our Download page. Additions in this version include the new “hop” action and the final resting places of graves and idols marking the end of the Ename Tardis exhibition. If you’ve not downloaded a new version in awhile you should definitely update to see the new surprises. For more info see the thread in the forum.